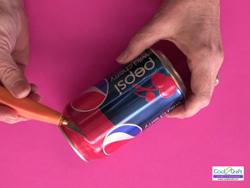 Use a colorful can to create a fun addition to your next gift. 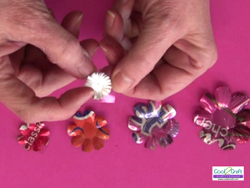 This aluminum can craft will give any boring package an extra dose of fun and excitement. 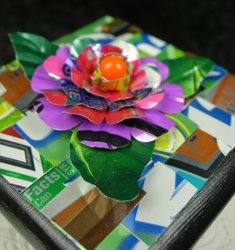 Make a Soda Can Flower Box Topper by Heidi Borchers for a birthday or holiday. 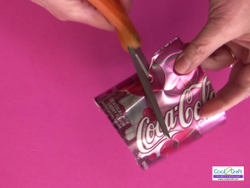 Use craft knife to cut off top and bottom of soda can.Please note: For each flower, you will want a different color can for each petal. 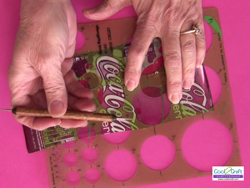 Place the cut soda can onto piece of craft foam. Using a stylus and a circle template, draw circles onto the can. 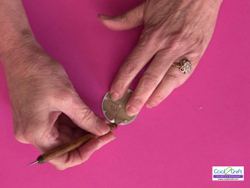 You will need 5 circles of various sizes (approximately 1/4″ less for each size) and colors for each flower. Using old scissors, cut out each circle. Make a flower pattern from cardboard for 4 of the different size circles. An eight petal flower is easy and works great. Place the cardboard flower template over each circle and mark the petals using the stylus. Cut out each flower, making sure all cut edges are rounded. It is important to keep all your cut edges rounded so that you have no sharp edges. 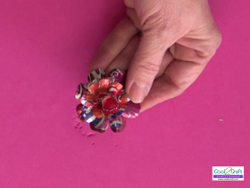 Place cut flower petal, color side down, onto the craft foam. Using the stylus, press into the petal and make marks or ‘veins’ onto each petal. Turn flower petal over, color side up and repeat on this side. Repeat for all of the petals. The smallest circle will be the center of the flower. Cut small slits all around the circle. To adhere the petal layers together, place one Aleene’s Tacky Dot in between each flower layer and one dot in the center. 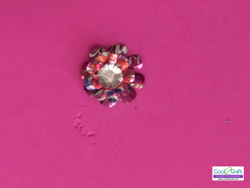 Place a bead into center petal and press onto the Aleene’s Tacky Dot. 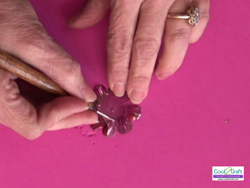 Carefully lift up and shape the petals around the bead. 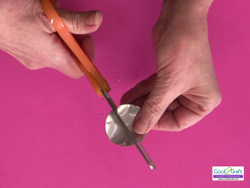 If needed, round edges of petal with scissors to remove any sharp edges. To create the mosaic look on the box lid with the soda can pieces, use one Aleene’s Tacky Dot Single for attaching each soda can piece. For a comprehensive video tutorial, check out How to Make a Super Cool Coffee Cup Rose. Awesome! I've always wanted to know how people did this. It will add such a cute touch to any gift, and we always have soda cans in the recycling! Seems like the edges would be insanely sharp!